I’ve been eating and writing about real food for over a year and half now. Though my home city of Lansing, Michigan, is not as progressive as other locales in the state, I have witnessed a remarkable transition toward my food preferences. To review: I define real food as all-natural, mostly local, and organic when practical. Capital Gains Media recently profiled Lansing-area restaurants whom are serving up meals made from local ingredients. It’s remarkable to me how much Lansing has changed in the last year. (With regard to food, at least). I’m a big fan of Zingerman’s and their approach to good food, but Zingerman’s is in Ann Arbor and most of the state’s good food practitioners congregate nearby. 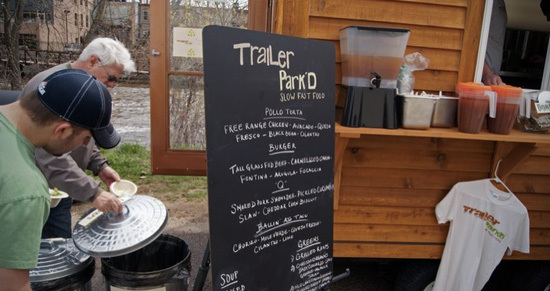 To have restaurants like The Purple Carrot and their food truck brethern Trailer Park’d spring up is a wonderful sight to behold. I’ve been throwing my money at them whenever I get the chance. 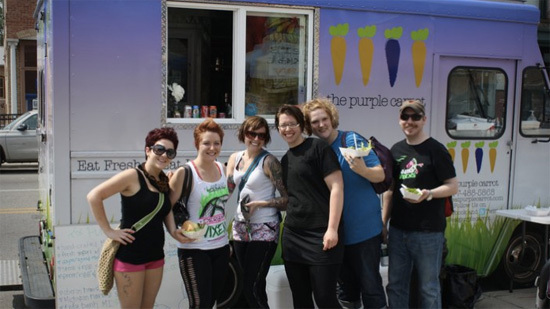 While Purple Carrot uses local foods because they are fresher and transparent, another new restaurant in Lansing considers local the morally right thing to do. Alex Wilder of the Wild Rose Café at 1224 Turner Street in Old Town (where Mama Bear’s used to be) says he buys and serves food from local suppliers partly because the economy is down and he’d rather help the little people who have their own businesses. “We do it more because it’s the right thing to do,” he says. At the end of the day, these restaurants can only exist because the community supports them. I didn’t think Lansing was ready to start shelling out extra money on real food; perhaps I was wrong. If these restaurants can sustain themselves and continue to grow their customer base, this could be the front end of citywide tipping point. We’ve got a lot to look forward to.